Hard Flooring faults, problems, testing and reports. Floor coverings consultant to The Furniture Ombudsman. 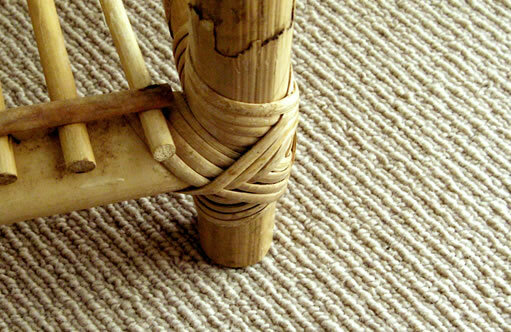 Offering durability and easy care, the use of hard flooring has increased in popularity over recent years. Hard Flooring covers a wide choice of products that include solid wood, laminate, engineered wood, cushion flooring and luxury vinyl. When purchasing and installing hard flooring it is essential to consider the subfloor. Unfortunately many of the issues owners experience with hard flooring products are as a result of failure to prepare either the subfloor or the product before installation. 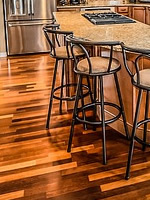 I provide a full fault inspection and reporting service for all hard flooring in the home. I will objectively and conclusively diagnose a fault thereby establishing liability and can offer advice and assistance where you might be seeking compensation from the supplier or fitter. Whilst the vast majority of hard flooring products are manufactured to exacting standards with a high level of quality control, occasionally faults can arise. Many issues associated with wood and laminate flooring can be installation related. It is imperative that any hard flooring be it vinyl, cushion floor, laminate or wood are fitted in accordance with the manufacturers guidelines. Any hard flooring can be damaged if adequate care is not taken before and during installation. My inspection will include checks on moisture, subfloor structure, expansion gaps and sealing where appropriate.